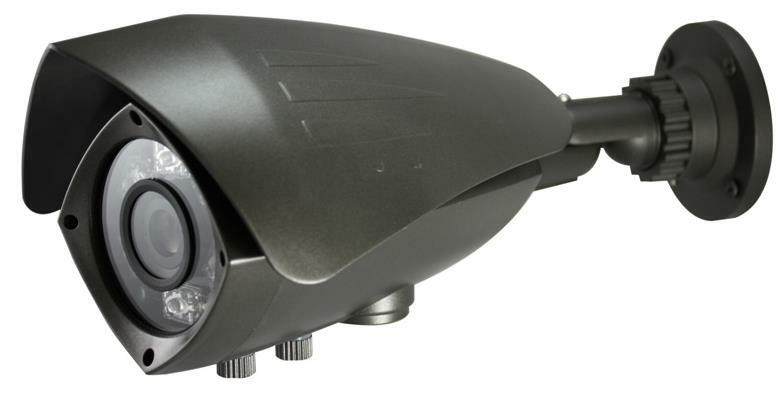 The CMB-108 Nighthawk color infrared security camera features a 1/3" Sharp Color CCD Sensor with 700 lines of resolution and a 9~22mm varifocal lens. 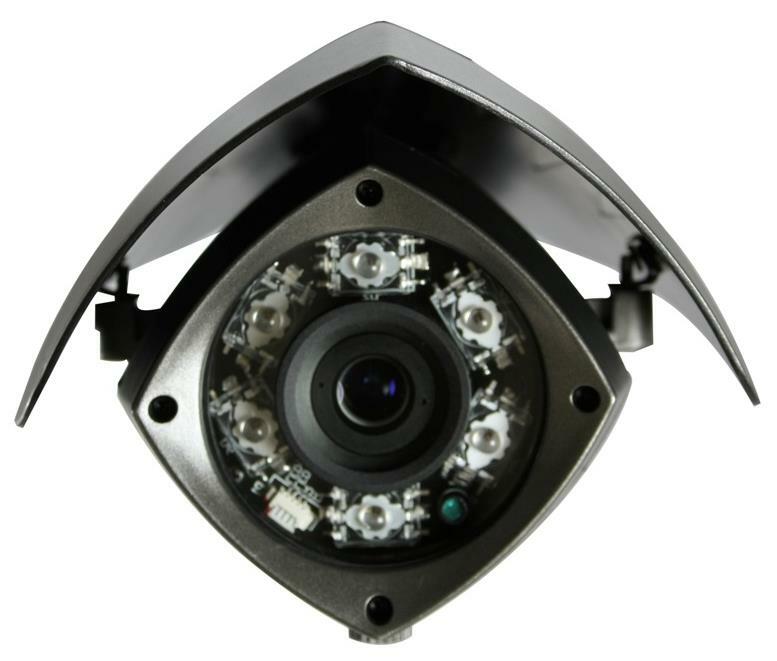 Its 6 high intensity Piranha LEDs gives this camera a night vision range up to 150 feet and its 9~22mm lens provides excellent detail. 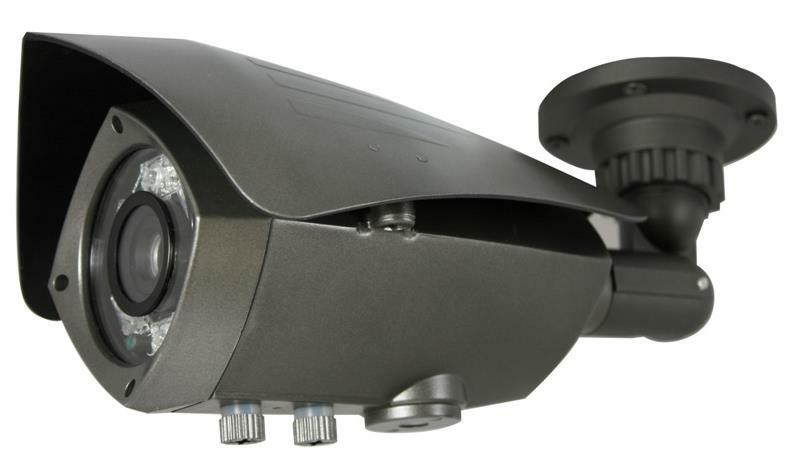 This camera provides full color images during the day and automatically switches to B/W at night to maintain picture quality even in complete darkness. 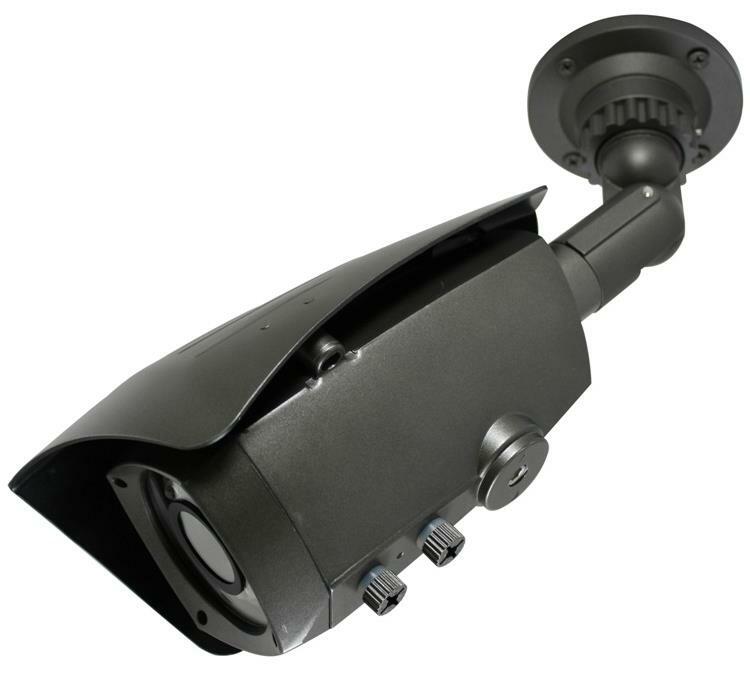 Comes with a cable management tri-axis bracket and an IP65 weatherproof housing making it ideal as an indoor or outdoor security camera. Electronic Shutter 1/60 ~ 1/100,000 sec.